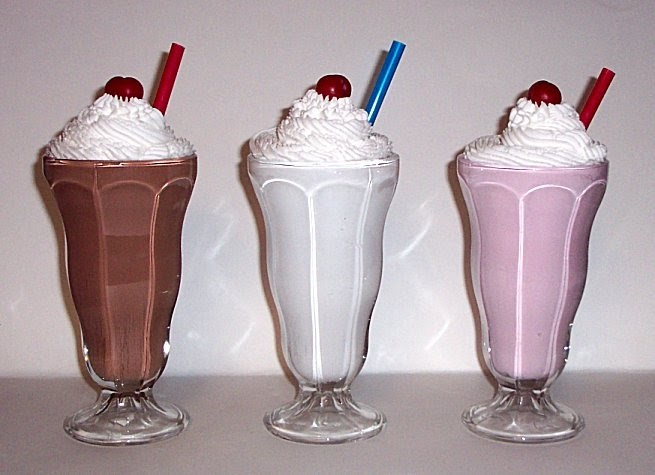 If this 'art thing' doesn't work out for me I have decided that I want to open a 50s Malt Shop, like a Diner that serves milkshakes and sodas and ice cream sundaes and has juke boxes and a dance floor with black and white square tiles. 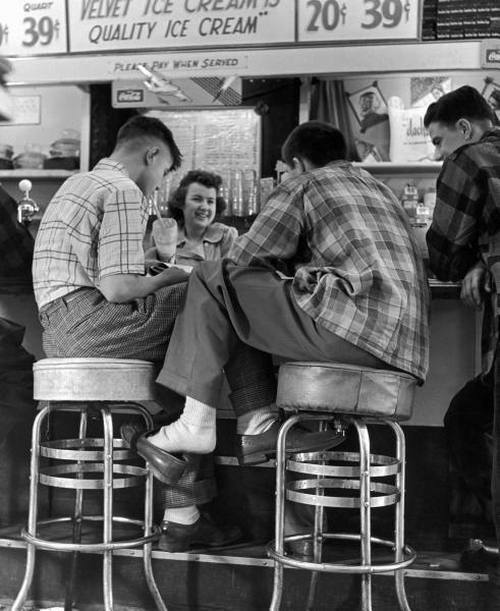 It would be so fun and ultimately I would want it to be like a hang out for teenagers like "Meet you at the Malt Shop after school" and somewhere you take out your date like "Want to go get a soda together after school?" 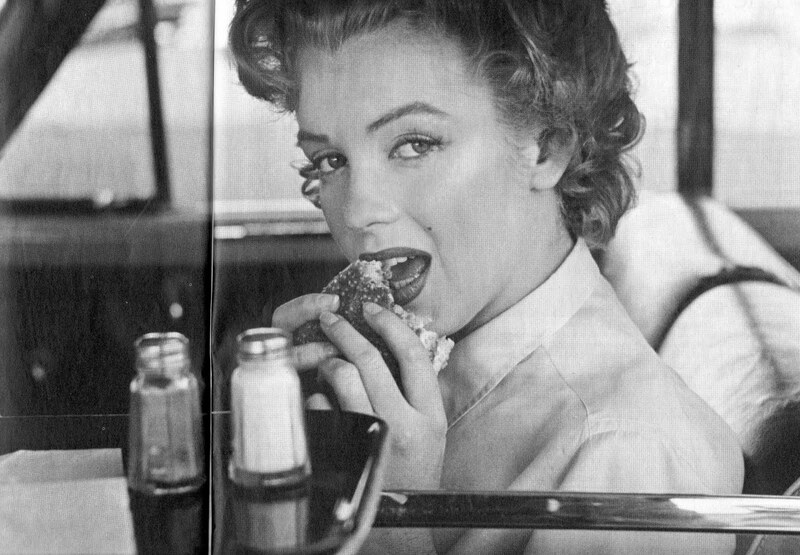 and all the waitresses would wear great clothes and maybe even have roller skates and maybe I'd even get a liquor license and make alcoholic milkshakes and everyone could twist all night long. Not surprisingly, the list of flaws in the 'being an artist' plan is a lot longer - but I'll give that one my best shot first before I go into the Malt Shop industry - although expressions of interest are welcome. 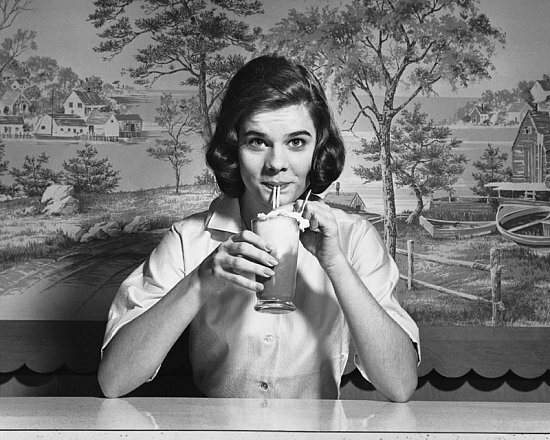 How co-incidental, my San Pellegrino shoot was going to be based on a 50s diner, with a couple drinking out of a san pellegrino bottle instead of a milkshake- with two straws. Aw. 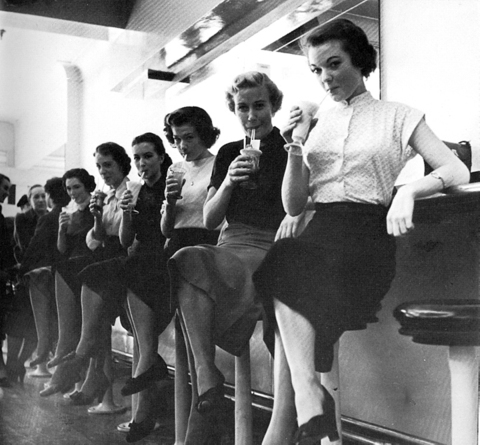 Oh, and I'm sure Melbourne (in the hip-state it is) would be head over heels for a malt shop!